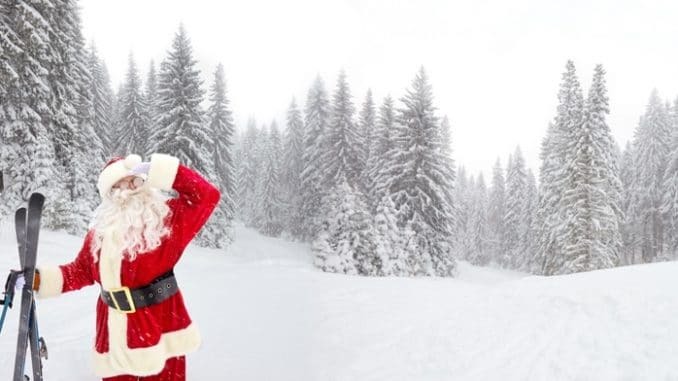 HomeTravel HacksBest ski deals on offer and visit Santa too! There are a couple of superb ski deals which you must take advantage of if you haven’t already booked! If you can grab yourself a bargain before the start of 2019 why not! Most need booking within the next few weeks, which are breaks pre Christmas and some are for Christmas week or in to January – so don’t delay! One special offer is perfect for families with younger children to see Santa in Finland! Book now – this offer ends 12th October 2018! Visit gorgeous La Plagne this Christmas with this amazing deal where you can save up to £400 per person. Dates include Christmas, New Year or a week commencing 12th January. 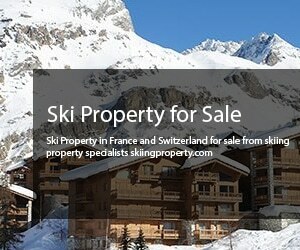 From just £499 per person it includes flights, transfers (to resort) and board in a cosy chalet. A huge saving can be found departing 22nd December for 7 nights in a catered chalet (over Christmas I might add) for just £599 per person this holiday was £899 per person which is a massive saving of £300 per person. If this isn’t a Christmas present for the whole family I don’t know what is! Treat yourself to an early break in delightful Val d’Isère departing from 1st December for a 7 night self catering stay in delightful apartments. These four star residences are spacious and have fully equipped kitchens, perfect for the holiday maker who prefers self catering accommodation. The apartments are close to the town centre and the main ski lifts, prices start from just £166 per person a saving of 45% for a 1 bedroom studio apartment that sleeps two people. How about a 7 night stay in a new chalet departing on 16th December to Avoriaz. The chalet sleeps 10-14 people and is ideal for a group of friends to hire. The price is from £1,199 per person for chalet board accommodation, flights from Gatwick and transfers in resort, plus the chalet boasts an underground swimming pool and hammam. If you prefer to go in January 2019 you can save £100 per person if you book before 31st October. The lovely village of Samoens beckons you with four star self catering apartments for 7 nights from £370 per person (based on 5 people sharing) departing 22nd December (Christmas week) with a saving of 10% on apartments. This price also includes return Euro Tunnel crossings if booked before 31st October. The apartments are conveniently close to the Grand Massif Express gondola and only 5 minutes walk from the pretty village square. Fabulous Tignes is offering a delightful stay in four star apartments with superb facilities such as an indoor pool, hot tub and sauna plus steam room. Save 10% on all apartments during Christmas week departing on 22nd December for 7 nights staying self catering. This break can be yours from £494 per person based on 5 people sharing a 2 bedroom apartment; the price includes return Euro Tunnel crossings. Go to see Santa which is fun for all the family! Enjoy a 3 day break in magical Saariselkä in Finland to see Santa in his home town, staying in a four star hotel from £949 per person. The price includes London and regional departures on 10th December with the price based on a family of 4 (2 adults and 2 children aged between 2-11 years) with 2 nights half board. Also within this price are all the activites including a private meeting with Santa, Elves and Igloo Fantasia plus Husky and Reindeer sleigh-rides. The whole family will be provided with thermal clothing so you’ll be fully equipped you do not need to buy special thermal clothing.